One of the most awaited premium F1 mobile applications for the BlackBerry PlayBook 2011 season update is finally here. 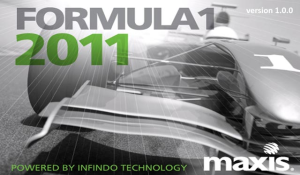 Maxis continue to brings you the best mobile application for the F1 Racing fans. Get detailed information for all the races with exclusive live commentary, top stories, results, schedule, standings, drivers / teams / circuit info, and many more. Exclusive live commentary which will guide you through whats happening right on the track for all the practice sessions, qualifying sessions and on the race day. Exclusive live commentary, final race results, best lap time, number of pit stops, race time and more. Please refer to the official F1 apps if you are looking for the full live timing data. Start date, end date, stage, country and circuit information for all races. This application is valid for the entire 2011 season. Our wonderful black and white art theme will look absolutely amazing on your BlackBerry handset!